Carrot (Daucus Carota) other names: Carota, Carotte, Cenoura, Danggeun, Daucus carota subsp. sativus, Gajar, Gelbe Rube, Hongdangmu, Hu Luo Bo, Karotte, Mohre, Mohrrube, Ninjin, Zanahoria. The common garden vegetable - the carrot is a biennial plant in the wild, while the cultivated varieties are grown as annuals. The carrot is one of the most recognized plants in the world. The carrot possesses an erect stem and can reach three ft or one m in height when fully grown. The carrot bears feathery leaves and gives off small white flowers in season; the carrot also bears flat green seeds. 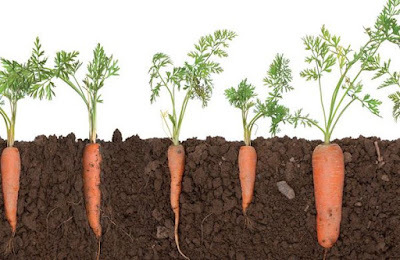 The most familiar part of the carrot is the swollen orange colored roots used as a vegetable, and all cultivated subspecies of this plant have fleshy orange taproots, though some varieties and the wild carrot as such do not have an orange colored taproot. Historically speaking, the true origins of the very familiar garden carrot remain unknown, while it has been in cultivation even in ancient Greece and Rome. The ancient Romans and Greeks enjoyed this nutritious and cleansing food and the carrot may have been cultivated by even more ancient societies. The medical uses of the carrot have also come down to us written works of many ancient physicians, thus, the physician Dioscorides writes in the first century AD that the carrot seeds are recommended to women for the stimulation of normal menstruation, it was also used as a herbal remedy to bring relief from problems of urinary retention, and as an aid to "wake up the genital virtue" of women. Carrot or more properly the cultivated variety was not found in Britain until the turn of the 16th century. The carrot apparently had different uses at this time as well, and women in this century may have used its beautiful and finely divided feather like leaves as an adornment on hair. The carrot may have also been introduced as an herbal plant rather than a vegetable. The historical use of the carrot as an ancient herbal remedy finds mention in the writings of the ancient Roman writer Pliny the Elder. The benefit of eating carrots has been demonstrated in recently concluded studies that show that an increase in the daily consumption of carrots provided a lot of beneficial compounds called beta-carotene. These compounds can significantly lower the risk of heart attacks and strokes in women according to the clinical reports. In the results gleaned from another clinical study, high levels of beta-carotenes in the bloodstream was found to be beneficial to stroke patients, who were much more likely to survive and recover form a stroke they had significant levels of the beta-carotenes in their blood. According to the reports, even former smokers who regularly consume carrots may benefit from a reduction in the risk of lung and larynx cancer. Carrots are used in herbal medicine, to treat problems such as intestinal parasites, persistent diarrhea, different digestive problems as well as high cholesterol problems. The most beneficial effect of eating carrots is perhaps in its ability to improve eyesight and to help in the maintenance of visual acuity; this effect has been confirmed by scientific research. Carrots possess large amounts of the vitamin A, which is a source of retinal, the compound that combines with different proteins to form the visual pigments found in the retinal rods and cones - the main visual receptors in the eye. Herbal remedies made from carrots are also a particularly cleansing medication used in detoxifying the body. The functioning of the liver is supported by remedies made from the carrot and the herb also stimulates the flow of urine, actively aiding in the rapid removal of metabolic waste by the kidneys. Carrots that are organically can be made into a delicious drink, which is also an effective detoxifier of the body. The main benefit from the carrot is its high content of the plant pigment carotene, this compound undergoes chemical conversion to form vitamin A in the liver - the vitamin A is in turn absolutely required for good vision. Carotene is also an important nutrient for the eye, as it acts to alleviate night blindness as well as general vision. Mashed or grated raw carrots are an effective and safe treatment for the treatment of infection of threadworms, children affected by this parasite particularly benefit for this treatment. 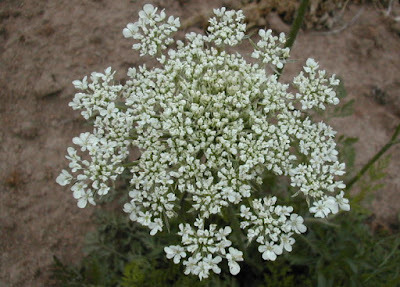 The excellent diuretic action of wild carrots is another useful application of the carrots in herbal medicine. Carrot based herbal remedies have been used to counter disorders such as cystitis and stones in the kidneys, the same remedies can be used to reduce the stones that have already formed in the kidneys or gallbladder. Carrot seeds also possess a diuretic and carminative effect on the body. The remedies made from the seeds can help stimulate menstruation; these seed based remedies have also been traditionally used in folk medicine to alleviate hangovers. The seeds and the leaves can be used as an herbal remedy to bring relief from flatulence and gassy colic, these two also form an effective remedy for settling the digestive system and to quite down stomach complaints. 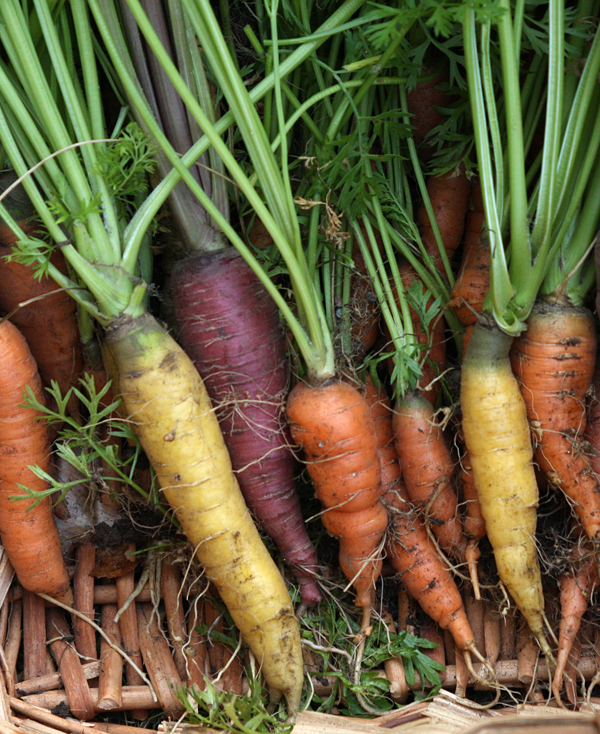 Carrot might cause skin yellowing if eaten in large amounts. Carrot might cause tooth decay if consumed in large quantities as a juice.